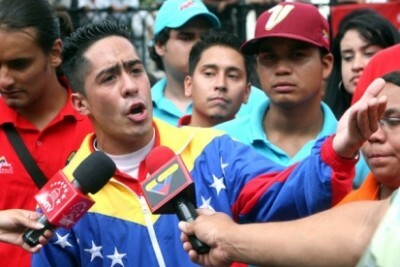 The gruesome assassination of pro-government lawmaker Robert Serra (27) and his partner Maria Herrera last Wednesday has shaken the administration of President Nicolas Maduro and the wider country. Serra was the youngest member of the National Assembly and a rising star in the United Socialist Party of Venezuela (PSUV). When details of the assassination first emerged, including that Serra had been gagged, handcuffed and stabbed up to 40 times in his Caracas home, the hypothesis that the murder was an act of political terrorism linked to far-right extremists gained traction among several politicians, diplomats and academics. These observers pointed to the way Serra’s assassination was carried out, other recent assassinations or attempts on chavista figures, the presence of far-right armed groups in the “guarimba” barricades earlier this year, and the emergence of videos tying far-right Venezuelan activists with former Colombian president Alvaro Uribe. Perhaps the most forthright and unexpected statement came from UNASUR secretary general Ernesto Sampar, himself a former Colombian president, who tweeted that, “The assassination of the young legislator Robert Serra in Venezuela is a worrying sign of the infiltration of Colombian paramilitarism”. Venezuela’s conservative opposition has played down the murder as just another case of common crime, drawing attention to the high homicide rate and obliquely using the issue to further criticise the government’s performance. This stance drew fire from Eleazar Diaz Rangel, the editor of the country’s largest newspaper, Ultimas Noticias, who wrote in his Sunday column that the opposition had “missed another chance” to distance itself from far-right violence and “those who internally must have applauded it”. International media outlets appear to have taken a similar approach to the Venezuelan opposition, downplaying Serra’s assassination and the hypothesis that it was a pre-planned act of political terrorism. As such, articles by Reuters, the BBC and others were quick to draw attention to the country’s crime rate in their articles reporting the high-profile murder. Perhaps the most obfuscating article was the Christian Science Monitor which led with, “Venezuelan politician’s murder: More pressure on Maduro to crack down on crime”. Fox News meanwhile headlined: “Venezuelan lawmaker who taunted government opponents slain at home”, a slur for which the article itself provided no evidence. None of the articles reviewed by this author mentioned the opinion of UNASUR secretary general Sampar or the evidence used to suggest that the assassination may have been politically motivated. That hypothesis, when reported, was attributed solely to the views of President Maduro or government officials. The second notable aspect of the coverage given to Serra’s murder was the media’s disinterest. Many outlets gave the event minimum reportage: the New York Times devoted one paragraph to the murder, while ABC went with a short re-post of an Associated Press article. Several other principal outlets in the English speaking world did not report the events at all. The UK Guardian, which has a correspondent in Caracas, opted not to cover the murder. The most recent article on the newspaper’s Venezuela section, dated 24th September, is about shortages of brand-name breast implants. On the same day, the paper also covered the jailing of three men convicted for the murders of former Miss Venezuela Monica Spear and her ex husband Thomas Berry, who were tragically killed during a highway robbery in central Venezuela in January. Indeed, the treatment of Serra’s murder contrasts sharply with that of Spear’s: the latter’s received global attention for weeks and generated an onslaught of criticism on Venezuela’s crime statistics and government security policies. The former meanwhile has barely caused international media to raise an eyebrow. Most of the outlets which did bother to report Serra’s assassination used the occasion to give the government another rap on the knuckles about high crime rates, while sidestepping the issue of far-right political violence. Is this because the murder of a former beauty queen is more important than that of a young left wing legislator? Or is it because the assassination of a pro-government deputy and the spectre of right-wing political violence are inconvenient to the prevailing narrative about Venezuela and its government? Would such a disinterested media tone be employed if the same act occurred to an opposition politician and groups associated with Chavismo were in any way implicated? The answers to these questions highlight how tightly – and uniformly – the world’s principal media outlets stick to their negative and accusatory narrative on Venezuela, and how events or information awkward to that narrative is either ignored, minimised or re-interpreted. It’s another reminder of how necessary alternative sources of information are to provide fair and accurate reportage of Venezuela in this current, critical moment.